Reliable, easy to access email is the backbone of most business communication. If email goes down, or leaving the office means leaving email, it can often impact the bottom line. 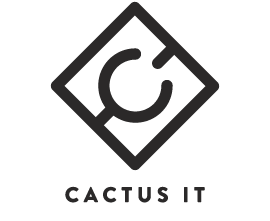 Cactus IT installs and manages Microsoft Office 365 email as a reliable, cost-effective email service that staff can access wherever they are on all types of device. Office 365 email advice: We can advise you on the best fit Office 365 email solution for you, or simply show you how to get the most from the features you are already paying for. Microsoft Exchange and Office 365 email migration projects: We often migrate email services to Microsoft Exchange or to Office 365, ensuring as little impact on availability as possible. Hybrid on-site and cloud email deployments: If some users still need to use the on-site mail server, we can do that too, setting up and maintaining a hybrid deployment between on-site and the cloud. For more information about our managed Office 365 email service, please contact us on +44 (0)1943 666 711.